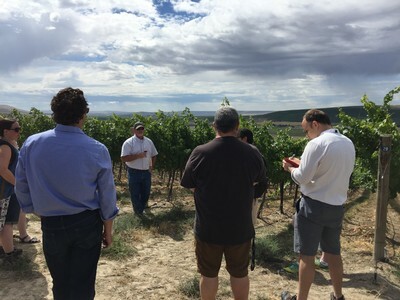 Earlier this month, the Red Mountain AVA Alliance hosted a group of trade personnel from around the country for a Cabernet Summit. 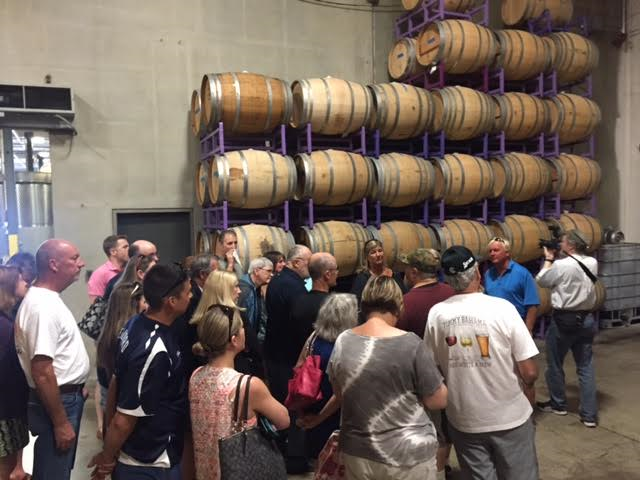 The purpose was to show these wine professionals what makes Red Mountain unique as a wine grape growing region. I was lucky enough to tag along for most of the 3-day adventure, as I had the role of ‘van driver’ for much of the time, toting our guests of honor around the Mountain. The Summit was a blend of activities: a geology lecture, tastings led by a Master Sommelier (who I knew from my old ISG days! 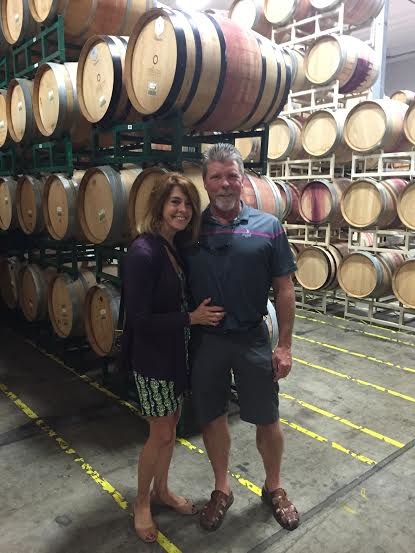 ), vineyard tours, winery visits, and amazing meals with paired wines. Through all of this, there were a few key points that stuck out to me. 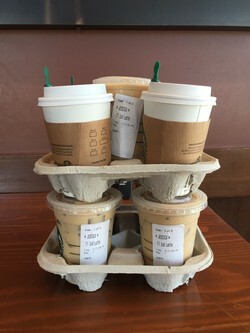 Maybe they are different than what our visitors took home, but they are the ones I am choosing to share today. 1 – Red Mountain is our home. And home to a lot of other great people. I pulled up to dinner #1 – my favorite tacos on the patio of Kiona – after a grueling 6.5 hour drive from Seattle to Red Mountain (more than 2x the normal drive time). Everyone was sitting in the evening sunshine, enjoying the most amazing tacos, drinking awesome Red Mountain Cabernet, catching up on wedding plans (congrats Kasee and Mitch! 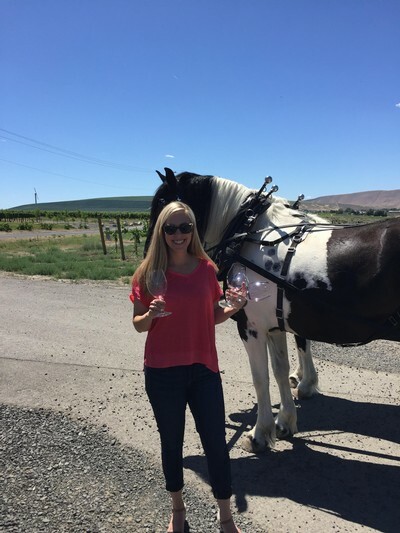 ), kids’ activities, winery parties, and how to get Uber into the Tri-Cities. Being just 4,040 acres, this is a tight knit community where everyone is excited to see one another and truly cares about each other’s lives and well-being. That terrible drive was quickly forgotten. 2 – We may be young, but we have staying power, and bring a competitive edge to international brands. 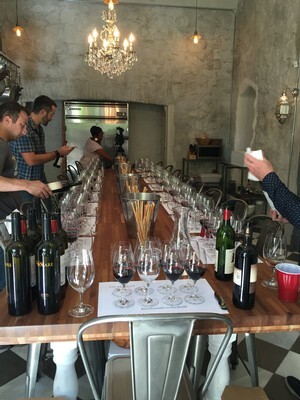 We hosted two seated tastings during the Summit. 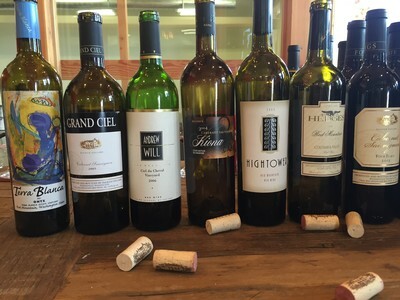 The first focused on the ageability of Red Mountain, while the second was a blind tasting where participants compared Red Mountain Cabernets to the same varietal from around the world. 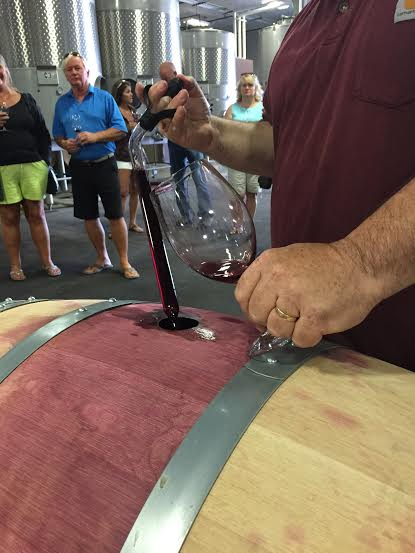 We determined that Red Mountain has the stuff to create a highly ageable wine. Good tannin structure, bright acidity, and balanced fruit all come from the specific weather trends, soil types, and terroir that is specific to Red Mountain. It’s up to the winemaker then to create a wine to last. The Hedges 1993 Red Mountain Cabernet Sauvignon was surely hanging on, and tasted great in a line-up of younger and much younger wines. When compared to the rest of the world, Red Mountain did have some unique characteristics that set our wines apart from those around the globe. Tasting four Red Mountain Cabernet Sauvignons blind, and mixed with Cabernet from Italy, Bordeaux, Australia, and Napa, we found that Red Mountain showed brighter and fuller fruit, depth balanced with acidity, and less of the pyrazines (green tones) than its cousins from other growing regions. 3 – Every vineyard has its own story, and winemakers love the variety within the AVA. 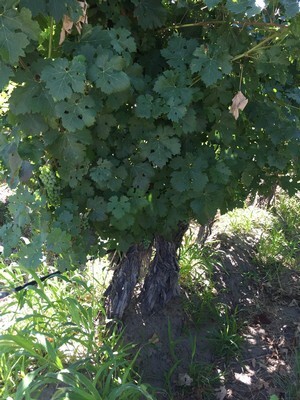 “Some of these vines are as big as a maple tree,” Scott Williams told us, as we stood in the Old Block of the Kiona Vineyard. These are some of the most established vines on Red Mountain, and while maybe not quite the size of a maple tree, they are far larger and taller than anything else we toured. Self-regulating and lovely, this block provides the fruit for Kiona’s OLD BLOCK, which Charlie pegged as one of his favorites in the Red Mountain vs. the World tasting. Far on the other side of AVA, we stood in Quintessence Vineyard, which began planting in 2010, and continues to be developed today. Managed by veteran Washington grower, Marshall Edwards, Quintessence is trying new clones, new planting styles, and producing some quality fruit for a number of Washington labels. We tried 4 different winery’s Cabernet from Quintessence Vineyard and each was truly different from the others. Charlie, Brian, and Marshall discuss the clones of Quintessence. These are both vineyards that Fidelitas sources fruit from, in addition to 7 other vineyards around the Mountain. That is a lot from such a small growing region, but Charlie would call it his spice box from which he pulls all the key components to making a strong line up of Red Mountain Cabernet Sauvignon. Tasting wine and touring vineyards all day can really take it out of you. Just this morning, I listened to feedback from those who visited us during the Cabernet Summit. We had folks from Kansas, and Chicago, and California, who all said that this trip taught them that Red Mountain really is a great, unique growing region, and that they cannot wait to share it with those around them. As I pulled into the parking lot the other day, the vineyard rows were catching my eye a little more than usual. Every day I am fortunate enough to work directly from our Red Mountain tasting room, with that I get the joy of watching the vineyard change and grow with each passing day. On this particular day I noticed Veraison was taking place in the vineyard. Veraison is the change in color of the grape berries or the ripening of grapes. 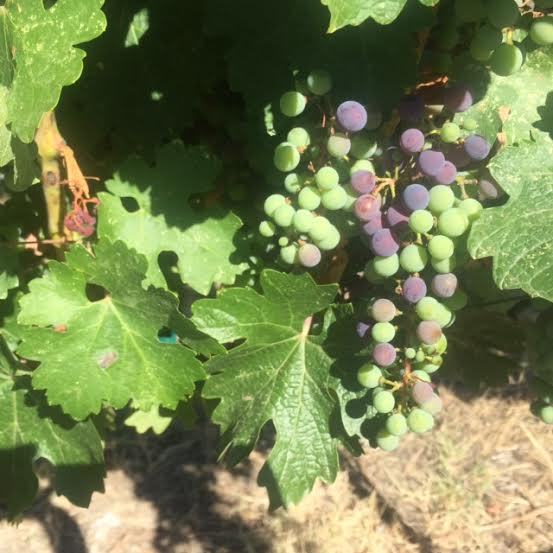 Depending on the varietal, Veraison takes place at different rates, especially with the warmer temperatures that we experience on Red Mountain it seems to happen earlier. During Veraison white wine grapes are a yellow hue and red wine grapes are shades of red and purple. 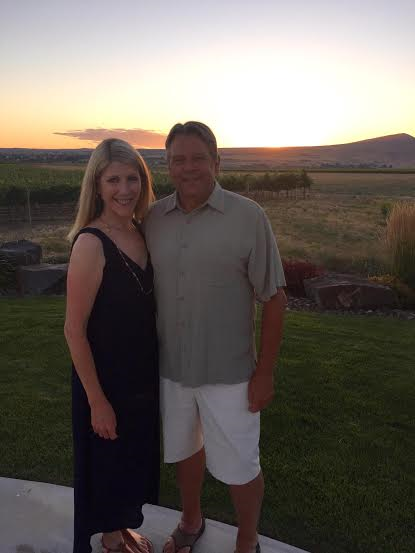 As Red Mountain is one of the hotter regions in Washington and home to Cabernet Sauvignon, we know that Cabernet Sauvignon is typically one of the last varietals to ripen in the vineyard. It’s an exciting time when Veraison takes place in the vineyard it means that harvest and new wines are fast approaching. I was poking around the library recently and found some 2010 Champoux Cabernet Sauvignon. I was extremely excited to try it as it is the only Champoux Cabernet (excluding Block One) that we have available for purchase. As I had guessed, it is absolutely delicious. I opened it last night and paired it with a rib steak and baked prawns. Let me tell you, it was amazing. The aromas of big dark fruit, mainly blackberry and currant, along with the dried herbs and even more dark fruit on the palate make this wine an absolute joy to drink. Pairing it with the steak and prawns was a no brainer! 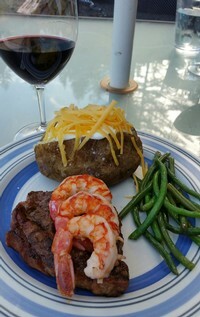 It was the perfect compliment to the wine and the nice summer evening. Visit the Woodinville tasting room to get a bottle while they last! Preheat oven to 425. In a rimmed baking sheet, melt butter. Add garlic and prawns and toss to coat. Sprinkle with kosher salt and cracked black pepper. Bake for 5 minutes. Turn shrimp and add additional pepper if desired. Cook for 2-3 minutes until shrimp are just done. Serves 4 as entrée accompaniment. New Patio Seating and Hours! We have opened our patio area outside! Come join us for a tasting or a glass and enjoy your visit as you sit and relax in the fresh air. 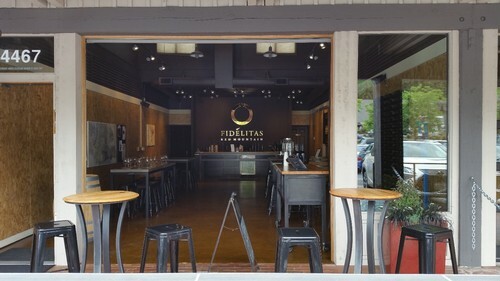 We are excited to announce that effective August 1, Fidelitas in Woodinville will be open from 11am-5pm. We look forward to being able to accommodate our guests with these extended hours! July is Team Fidelitas month, where we celebrate members old and new. Can’t make it in? 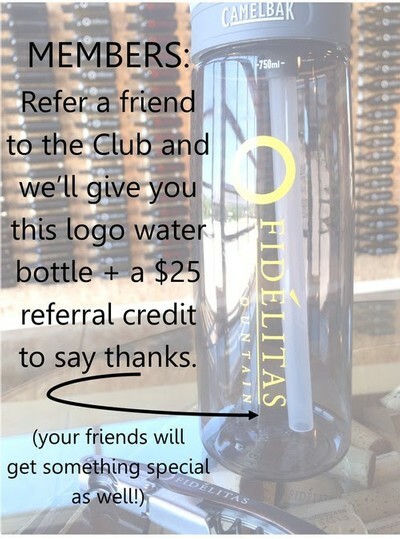 Use or pass along the code TEAMFIDELITAS for friends of Fidelitas pricing on our website, July 10th. CLUB MEMBERS here's your chance to tell us what you really think. Take the Fidelitas Club SURVEY and be entered in a drawing for a Fidelitas Swag Bag. 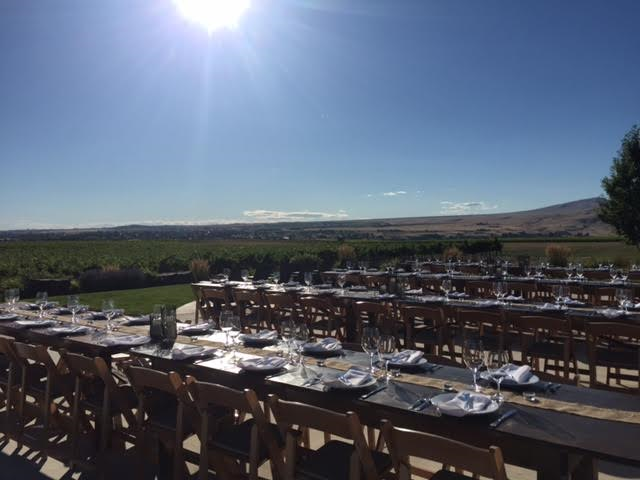 I started helping Michelle with our Wine Club last summer and one event that she always told me I should look forward to was Magna Dinner. Well, she proved to be right once again (I might regret saying that). On Saturday we started the morning off with a cellar tour led by Charlie himself. Spudnuts and coffee were of course provided along with some exciting barrel samples of our future releases. It’s rare that we hold those types of tours and we were thrilled to bring in our Magna Members to see what goes on behind the scenes! 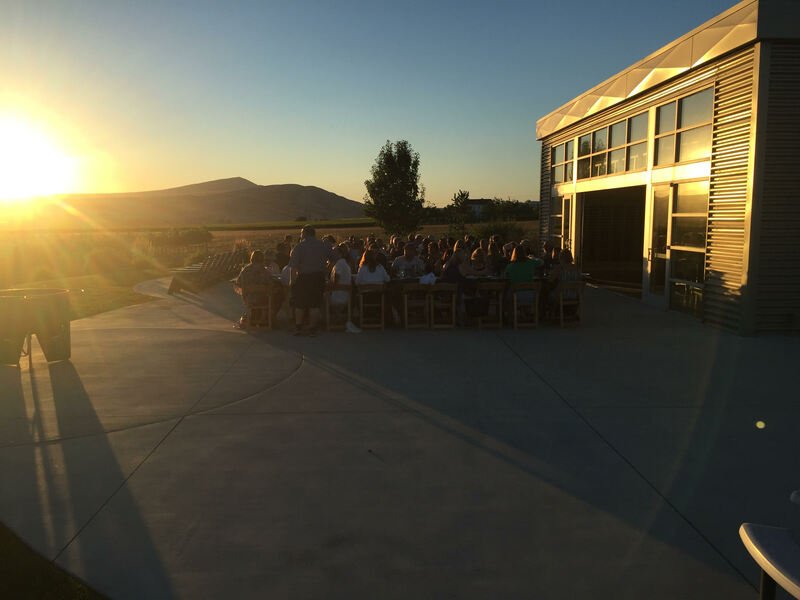 Once the tour ended everyone parted ways to taste at other wineries, eat lunch, and relax before an eventful fun-filled dinner. 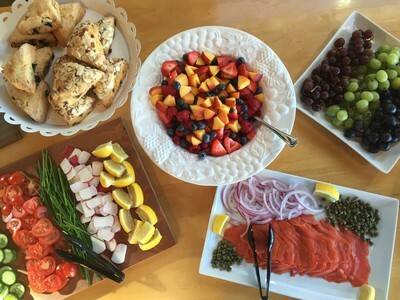 This year food was provided by Olive Catering and man was everything delicious! 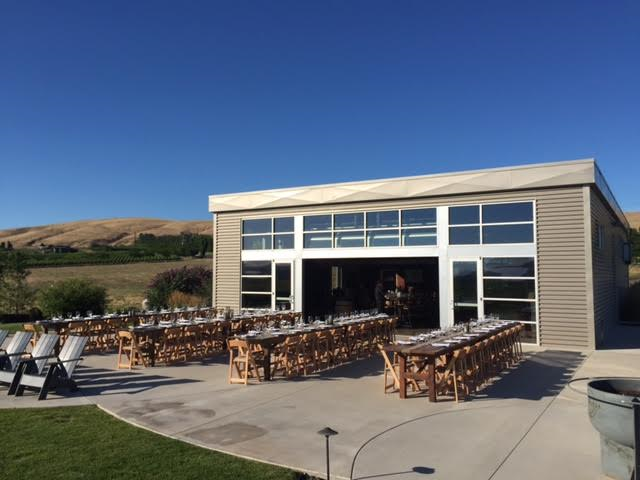 Once bus’s arrived our members got to try our two new releases: 2015 Klipsun Vineyard Semillon + 2013 The Canyons Red Wine. Just to make everyone hungry, here was the menu from that evening. 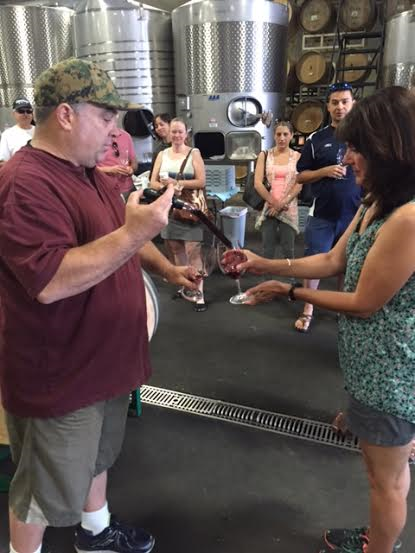 Of course we had to add a surprise wine for members to enjoy. Right before dessert was served we threw in the 2012 Champoux Vineyard Block One Cabernet Sauvignon. And what a treat it was! This night was filled with awesome speeches, conversations, long time members (and new Magna Members! ), laughs, high-fives, and hugs. Everything that our wine club is all about! Cheers to an amazing weekend! Already counting the days until Magna Dinner 2017.